I read a report that Dave Caldwell convinced Coughlin that Blake was the quarterback that we needed moving forward. Any truth to this? I’ve been asked this often, and I smile when people float the idea that Jaguars General Manager Dave Caldwell “convinced” Jaguars Executive Vice President of Football Operations Tom Coughlin to “go with” quarterback Blake Bortles. I try to picture Caldwell tying Coughlin to a chair and brainwashing – or physically forcing – Coughlin to do something he didn’t want to do. This doesn’t exactly fit with what I know of Coughlin, and it’s not how these things work. There is nothing sinister about this and it’s not a “story” really worthy of a “report.” Coughlin has final say over the Jaguars’ football matters. Caldwell is the general manager and runs scouting. They work together and certainly talked about Bortles in the spring of 2017 upon Coughlin’s arrival. Caldwell certainly has been “pro-Bortles” since drafting him No. 3 overall in the 2014 NFL Draft, and Caldwell certainly spoke for Bortles. But it was ultimately Coughlin’s decision and he’s certainly capable of making up his own mind. Just an observation: Bortles on several occasions had a huge windup that led to sacks and tipped balls Sunday. Is he still working on that in California during the offseason? The team is pretty much playing for love of the game and pride at this point. The coaching staff is now evaluating talent for moves next season. We know what we have in the running game and I think it would be hard to evaluate the running backs behind an offensive line that has now been pieced together several times. I’m not suggesting that they throw games, but why not open the playbook and attempt something new? What do you have to lose at this point? Are we just going to continue to see the run up the middle and the bubble screen? The coaches have been installing game plans they believe gives the Jaguars the best chance to win, and they will continue to do so. To believe they will do anything else would be folly – and it also would be to ignore how the NFL works. They are not going to change that approach. The coaching staff is not going to coach the rest of the season “evaluating talent.” They are going to coach to win games. I don't think fans realize that players are graded every year on performance and that impacts new contracts and or getting cut. That is why players do not want to tank the rest of the season (and pride, of course). All right, John: I don't want to put you in a bad spot, but I'm looking for YOUR opinion here, not what you think the coaches or front office might be thinking. Blake is starting again this week. In your opinion, why? The reasons for sticking with him have been getting fewer and fewer, and they just have to be gone after last week. He's not an NFL quarterback, is he? Fans do not have any say about the team; I get that. But I'm completely apathetic about the team right now with him under center, and I don't think I'm alone. When you ask why I think Bortles is starting, you by definition are asking what I think the coaches are thinking. What they’re thinking is why he’s starting. He hasn’t turned the ball over since the bye week and his mobility/escapability gives the offense a dynamic presence that it probably doesn’t get with Cody Kessler. Bortles also played well enough against Philadelphia and Indianapolis to give the Jaguars a chance to win those games. I understand that Bortles is struggling, and I understand that fans think he is the main reason for the struggles. The coaches don’t believe this, which is why he remains the starter. "Blake gives us the best chance to win" seems to be the politically correct reason for not starting another quarterback (first, Chad Henne; now, Cody Kessler). If the organization really feels that way, then Mr. Khan needs to re-reevaluate his staff. Either they totally whiffed at having a viable alternative, or they just plain can't evaluate talent. I could accept the first and maybe second dismal years, but after five years to still consider him the best chance to win is blind ignorance. John, did they just blow it and really believe that he was a good pick or is this the company line trying to get to the next draft? Your frustration with the answer doesn’t change the answer. For your sake, I wish it did. Yeah, but try telling that to Tom. I get what you're saying about offense becoming too easy and games seeming like they're being played on an X-Box. The problem is, that worries me more about where the Jaguars are. The Jaguars have a bad offense in a season where offense is easy, where records are being crushed and quarterbacks look like they're playing in the Big 12. If our offense can't succeed in a league where points are at a premium, then how bad are we? Right now? Well, right now the Jaguars offense indeed looks bad. It has produced less than 260 yards in three of five games. It didn’t look nearly that bad last season or early this season. I’m not sure how it will look next season, though I do expect it to look different. Name one franchise who would have given Blake a $54 million extension. Dave has overpaid average players and has one first-round player worth a second contract. This team can’t justify bringing Blake and Dave back to this fan base. We deserve a competent front office. Notice I didn’t say we deserve wins but we do deserve these multi-millionaires to at least be honest with their evaluations. I'm no highly-paid GM or anything, but Taven Bryan vs Lamar Jackson? No-brainer. Am I just being a homer, or does it seem unjust that Edgerrin James would be a HOF semifinalist rather than Freddy Taylor? I know James was good for a long time, but I would build my running game around Taylor long before James if I had my choice. What’s the factor that I am missing? I covered both players, and I also would choose Taylor over James if starting a team. This is not a knock on James; rather it’s because I think Taylor was one of the best running backs in the last 30 years. Both should be among the Hall-of-Fame semifinalists. James’ presence there isn’t a problem. His accomplishments – four Pro Bowls, two rushing titles, membership on the 2000s All-Decade team – more than merit it. James wasn’t better than Taylor, but he did accomplish as much or more – and that factors into Hall of Fame voting. What’s it gonna take for us to move into the way the game is played now? Rookie quarterback Tanner Lee is on the Jaguars’ practice squad. It is not believed that he is ready to play in a regular-season game yet. I know everyone hates Bortles right now, but how much better do you think this team would be with a rookie starting at quarterback next season? I don’t think the Jaguars would be better next season with a rookie starting at quarterback, though they might be better after that with a different quarterback. 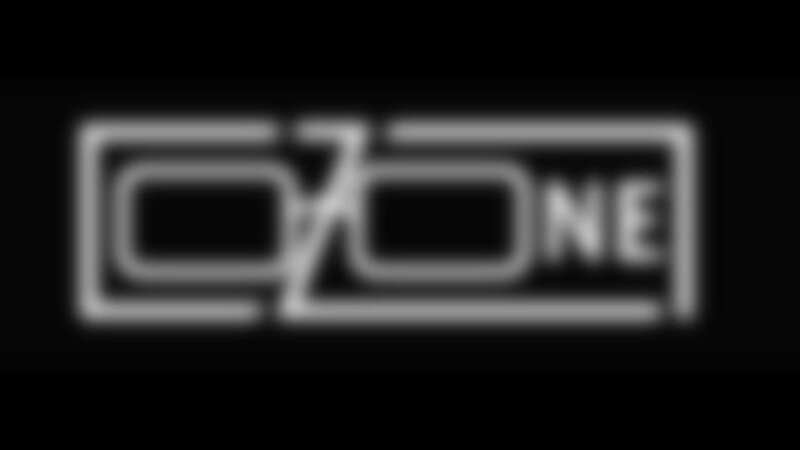 Zone: I am predicting the next league rule change to favor offense and more scoring. Defense will now have to count to "Three Mississippi" before rushing/crossing the line of scrimmage. Oh don't doubt me on this. In 2014 we could have taken Teddy Bridgewater, Jimmy Garoppolo and Derek Carr. I think all three would have been better than Bortles. It’s a shame our scouts missed again on picking a quarterback. I do think Jimmy Garoppolo will be better than Bortles when healthy. I’m not sure there’s much evidence to suggest this season would be much different had the Jaguars drafted either of the other two players.